Verify Check Online Check Verification Services Company. 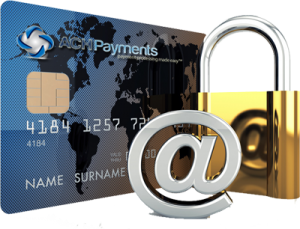 ACH Check Verification allows merchants to mitigate check acceptance risk at the point of sale, online or in person. Checking account verification options range from automated routing number check to negative database options to near real-time inquiries into current checking account status, and checking account balance inquiries (which require the customer to either log-in or provide credentials to their online banking system). at the account is active with a positive funds status. Unlike credit cards, the ACH realm lacks an authorization component. Credit cards allow for authorization at the time of payment, ensuring that a customer has the requisite funds on their cards, and reserving those funds for capture and settlement. For some businesses this lack of an authorization means that ACH Check Verification is necessary to mitigate payment acceptance risk, and prevent your newly onboarded customer from needing to perform a significant amount of work to obtain correct or valid checking account information. Accounting may need to be undone. For businesses that accept checks either as an ACH, Check 21 or Remote Deposit all face the risk that the payment will result in a return [failed transaction]. Mitigating loss through third party check verification services can be an important part of the business that relies on ACH processing for check acceptance. So how does a business reduce check acceptance risk? Bank routing numbers identify the bank that a check is drawn against, and the databases holding this information can be checked in real time. Negative databases (comprised of the positive/negative history of that checking accounts info) exist a means of protection for businesses. For example, Walmart can report on whether a check is good or bad to the database. A plethora of retailers contribute data to the network, meaning there are millions of checking accounts to reference. Recency is an issue because a customer’s last instance of writing a check at a participating retailer becomes the last data point. The account is open and in good standing with a positive funds balance. Very importantly you do not get a balance confirmation. The account can have $25 or $25000. To leverage these systems, the customer is presented a lightbox in which to log-in to their online banking or provide their credentials for logging in. Despite the friction caused to the user, this process can provide valuable additional insight. The checking account verification services at this level do NOT provide funds availability or balance inquiry, or bank account ownership. 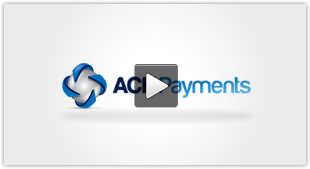 For many businesses this provides a significant improvement in their payment acceptance processes. New client intake or onboarding can be a major friction point for businesses that rely on future recurring payments. By employing ACH Check Verification businesses can eliminate much of the “after the sale” work needed when payment fail. Payment rejects are usually accidents. Making a customer go through the hassle of the sale process again will ensure that a subset of those sales will be lost. By leveraging checking account verification tools businesses don’t lose hard won customers because of data entry errors. By the same token, businesses that rely on future billing are especially vulnerable to bad check data. However, using a cutting edge ACH Check Verification businesses can dramatically reduce bad check acceptance and the subsequent problems. The check verification service should be available as a stand alone [eg using a web based Virtual Terminal] or in integrated fashion that can be programmatically part of workflow. Approve/Decline logic can be customized to the particular business. In some use cases for instance an account currently in an NSF stats may still be onboarded.